Visit your favourite city on Check In! Enter the contest and stand a chance to win travel vouchers worth a total of US$4,000. 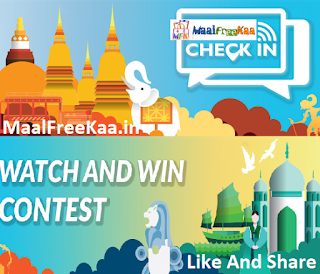 Check in Watch and Win Contest and win each weekly prize travel gift vouchers worth USD $1000. Please check back again during contest hours. On each weekday during the Contest Period, a “question of the day” will be posted on the official CNA Lifestyle Facebook page 1 winner will be selected by Mediacorp per week during the Contest Period to win travel vouchers for travel to one of the Locations (as selected by the winner), worth up to USD1,000 (“Travel Prize”). Winners will be selected based on (i) the accuracy of their answers to the QOTD; and (ii) the creativity of their responses to the other questions listed on the contest page. The name of the winner for each week will be announced on the contest page. 8.30am – 9.30am (SIN/KL) / 7.30am – 8.30am (JKT/BKK) / 6.00am – 7.00am (DEL). Setup 1 : On each weekday during the Contest Period, a “question of the day” will be posted on the official CNA Lifestyle Facebook page. Setup 2 : Viewers must tune in to the morning weekday Facebook premieres of the Programme (8.30am (GMT+8), Mondays to Fridays) on the official CNA Lifestyle Facebook page to look out for the answer to the “question of the day” (“QOTD”). Participants must submit their answers the contest page between 8.30am to 9.30am (GMT+8) on the day that each QOTD is released to qualify.